You can’t judge the power of organic whole flaxseed by their size. Organic brown flaxseed are slightly larger than a sesame seed, yet they are jam-packed with nutritional benefits. Their subtle flavor gives them the ability to function as a versatile part of a health-conscious diet. 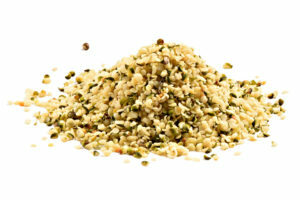 Ground flax seed can be added to everything from smoothies to baked goods or pilaf. Very good. Another product with a great price. Great quality, grinds up perfectly. Can’t beat the price!